Removing American Flag to reveal monument made with steel from World Trade Center, at the Merrick Post #1282 American Legion Tenth Annivesary of 9/11 event are (left to right) Rabbi Paul Kirchner, Father Eric Fasano, Adjutant Robert Tom Riordan PCC,; and North Merrick Fire Dept. Ex. 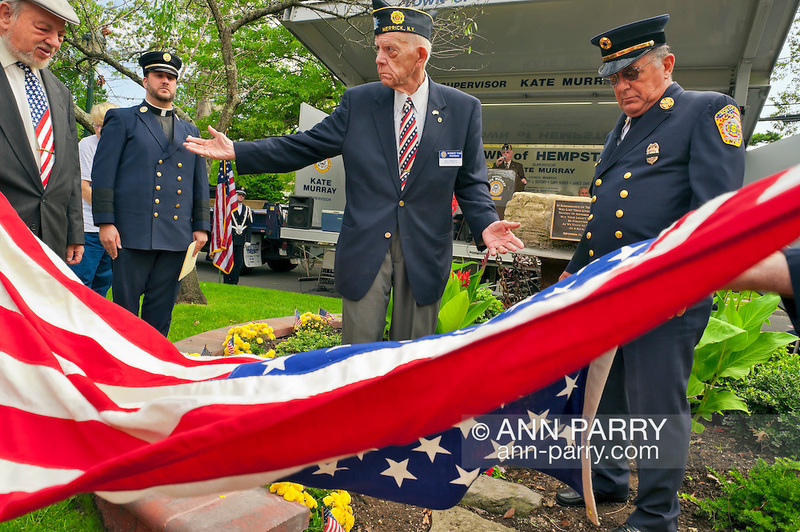 Chief Henry Hinrichs, at Merrick Veterans Memorial Park, Merrick, New York, USA, on September 11, 2011.